This handmade sash is made of 3 yards double faced satin ribbon, 2 ½" width in a champagne color, with 12" of hand detailing. It features beautiful ivory French Alencon lace, pearls and crystals for an elegant and sparkly addition to your attire. 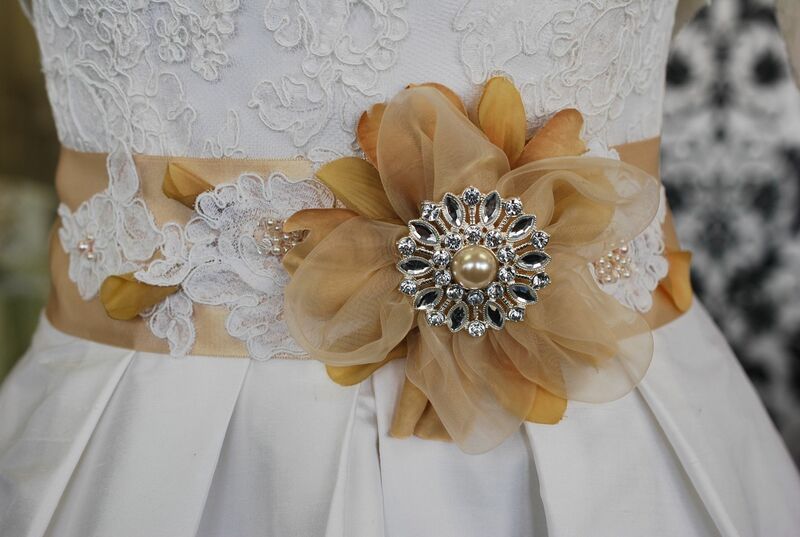 This sash is perfect for a wedding accessory.